Welcome to Spitting Pig Lanarkshire, the number 1 place to come for sensational hog roasts and astounding flavours that you won’t have tasted before. My name is John and I own Spitting Pig Lanarkshire. I have been in the catering industry for over 22 years, working myself up the ranks to an award winning chef. My reputation precedes me for my unbeatable hog roasts. Over the years, we have provided catering for many different kinds of events and parties. 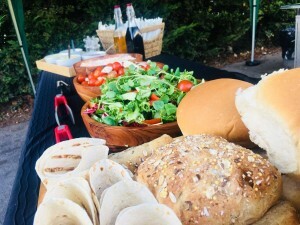 At Hog Roast Lanarkshire, we love what we do, and know how important it is for you to be able to provide your guests with good quality food that you know they will enjoy. We work hard to make sure that everyone goes home happy, with fantastic memories and full bellies. 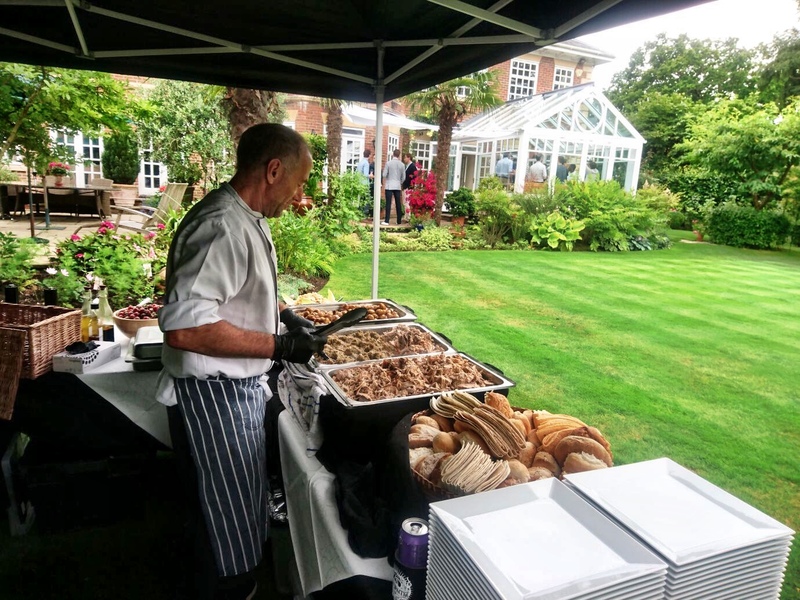 A great way to achieve this, especially if you are inviting a lot of people to your party, is to let us provide you with a hog roast feast. 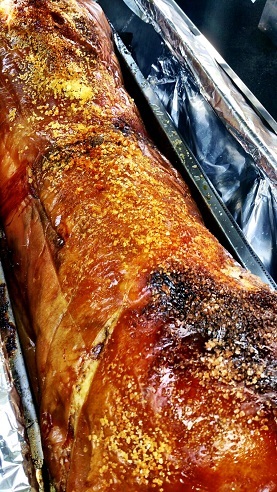 There really is nothing quite like the smell of roast pork. The sight of a succulent, golden spitting pig cooking on a spit is always impressive. People love this type of food, and because a whole hog goes a long way, you can feed a lot of guests this way. If you have the meat pulled and served with stuffing and apple sauce in a bun, you can easily feed 80 with just one hog. However, at Hog Roast Lanarkshire we know that every party or event is different. Not everyone wants to serve the same type of food, which is why we provide you with a wide choice of dishes and serving methods. We will spit roast or barbecue practically any meat for you. A row of turkeys, beef joints, lamb, gammon or chickens roasting in front of your guests will impress them as much as a full hog roast would. Variety is key at Hog Roast Ayr and we understand that not everybody enjoys the same thing, which is why our menus are packed with so much diversity and delicious flavours ready to wow your guests! To make sure that everyone’s tastes and dietary needs are catered for we also provide a wide range of side dishes. On our menus, you will find many different types of finger foods, desserts, salads, steamed vegetables, potato dishes, sauces, stuffing and gravies. Perfect for creating a full meal that your guests will remember. No dietary requirement is an issue for Hog Roast Ayr. We pride ourselves on providing the best service possible and that includes every single guest enjoying what we provide. For the vegetarians and vegans, we include some fantastic options that we have to keep away from the meat eaters because they really are that good! Your gluten-free guests can still enjoy the same meal with our gluten-free rolls and for any other dietary requirements then please do ask because Hog Roast Ayr can most certainly accommodate them. Your guests can enjoy a buffet, a formal sit down meal or a carvery style feast. You decide what food we provide. 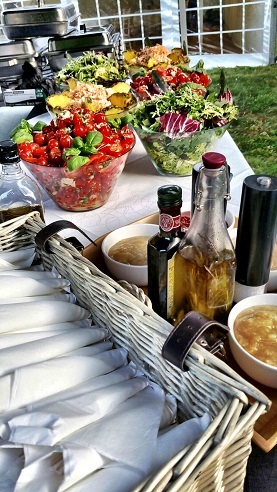 We then take care of the preparation, cooking and serving. If you prefer, you can hire a spit roasting machine from Hog Roast Lanarkshire, and do the cooking yourself. Ordering is easy. It only takes ten or fifteen minutes, so it really is a stress-free way to provide your guests with good quality food. All you need to do is to fill in the quote form, on this website.